Welcome to Audiology Services of West Virginia, where we offer the highest quality Audiological services in the Mid-Ohio Valley. Our friendly team specializes in caring for the hearing impaired of all ages with services including hearing assessment, hearing aid fitting & programming, balance assessment, and much more! Our practice is committed to helping you solve your hearing and balance challenges through personalized and attentive health care. Call 1-304-428-2403 today to schedule your hearing evaluation today. It’s our focus to provide state of the art technology with professional care at affordable prices you deserve and expect. Audiology Services of West Virginia is Parkersburg’ best option for new hearing aids and better hearing. To schedule a hearing or tinnitus evaluation, call (304) 428-2403 or click here. We are proud to participate in the Veteran’s Choice Program, which offers Veterans the option to receive healthcare (including hearing healthcare) close to home rather than to travel long distances to the nearest VA hospital. Please call our office or your local VA representative to find out about this program and to see if you or a loved one qualifies! At Audiology Services of West Virginia, we accept most insurance, HSA and flexible spending accounts. We encourage patients to call their customer service Department on the back of their ID card to double check! If you have any questions, please feel free to call our office at (304) 428-2403. Hearing loss is the third most common health concern behind diabetes and heart disease. Approximately 36 million Americans suffer from a either conductive, nerve, or mixed hearing loss, more than half of whom are younger than the age of 65. Imagine for a moment we're building a home: we wouldn't purchase the materials and defer the craftsman. So when considering hearing technologies, why would you not want 3 doctors of audiology guiding you every step of the way, building the perfect solution to your needs? We don't sell hearing aids, we treat your hearing loss. Period. Have a question? We have an answer. Have a question that was not previously answered? Submit your inquiry via our FAQ's page and we'll provide a personalized response. We recognize that you have a choice when it comes to your hearing healthcare provider. We want you to be as relaxed and informed as possible about our practice. Audiology Services of West Virginia is an all-inclusive hearing and balance healthcare clinic specializing in medically-oriented diagnosis and treatment of hearing loss and tinnitus. Our philosophy is that hearing healthcare can affect an individual’s overall quality-of-life and should be monitored as part of an annual health physical. When a hearing problem is identified, our Doctors of Audiology will evaluate many aspects of our patient’s lifestyle and needs to help him or her select from a variety of hearing instruments and assistive listening devices. Hearing aids are a common form of treatment for most types of hearing loss. However, hearing instruments are not always the answer. Our Doctors of Audiology have experience working with other management options such as cochlear implants, bone-anchored devices, and sound therapy options for tinnitus. Knowing appropriate communication strategies is a key to success when using any hearing instrument or device. Our audiologists have a background in aural rehabilitation and auditory-verbal therapy techniques, which ensures that our patients are equipped with all the tools necessary to take advantage of the best hearing experience possible. We feel that is very important to select a healthcare provider with whom you feel comfortable and provides the best care. Audiology Services of West Virginia has three Doctors of Audiology who are equally qualified to give their patients the most comprehensive hearing and balance healthcare. Our Doctors of Audiology have experience in all specialty areas of audiology and have all completed their doctoral training in major medical centers. We are committed to providing the most compassionate and complete hearing healthcare in the Mid-Ohio Valley! Carlee is from Elizabeth, WV. She graduated with her bachelor of science (BS) in Speech Pathology and Audiology from West Virginia University in 2010. Carlee obtained her clinical doctorate in audiology (Au.D.) in 2014 from the Northeast Ohio Au.D. Consortium (NOAC), a partnership between Kent State University, The University of Akron, and The Cleveland Clinic. Carlee completed her doctoral externship at The Cleveland Clinic. While attending West Virginia University, Carlee became a certified Spinning instructor and has taught classes in West Virginia and Ohio. She also enjoys many other forms of exercise. Dr. Squires is an animal lover and always enjoys sharing pet stories with her patients! Carlee also enjoys trying local restaurants and coffee shops and spending time with her family. Audiology Interests: Rural Hearing Healthcare, Diagnostic Audiology, Hearing Instrument Technology, Aural Rehabilitation. Madaline is from Berkeley Springs, WV. She graduated with her bachelor of science (BS) in Speech Pathology & Audiology from West Virginia University (WVU) in 2013. Madaline obtained her clinical doctorate in audiology (Au.D.) in 2017 from WVU. She completed her doctoral residency at Pittsburgh Ear Associates, a private neurotology practice in Pittsburgh, PA.
Madaline enjoys spending time outside and exploring new places. She also thoroughly appreciates a good book, recipe, or espresso. More than anything, Madaline values spending time with her family and puppies. Being new to the area and a lover of local goods, she is excited to discover what Parkersburg has to offer! Audiology Interests: Diagnostic Audiology, Hearing Instrument Technology, Cochlear Implants, Vestibular Evaluation, Electrophysiologic Evaluation, Aural Rehabilitation. Michael is from Clarksburg, WV. He graduated with his bachelor of science (BS) in Speech Pathology and Audiology from West Virginia University in 2010. During his time at WVU he served as the “Mountaineer Mascot” (2008-2009) as well as a member of the Gold Cheer Team (2009-2010). Michael obtained his clinical doctorate in audiology (Au.D.) in 2014 from the Northeast Ohio Au.D. Consortium (NOAC), a partnership between Kent State University, The University of Akron, and The Cleveland Clinic. Michael also completed his doctoral externship at The Cleveland Clinic. Michael is a member of the Elizabeth United Methodist Church choir in Elizabeth, WV. He enjoys fishing, hunting, and tying flies for fly fishing. Michael grew up learning woodworking from his father. He now enjoys fine woodworking and building furniture in his own workshop. Audiology Interests: Diagnostic Audiology, Hearing Instrument Technology, Tinnitus, Pediatrics, Cochlear Implants, Vestibular Research, Aural Rehabilitation, Patient Satisfaction Research. Carlee and Michael Squires were married in August 2014 and reside in Mineral Wells, WV with their son (Lenen), their dog (Audie), three cats (Gray, Ebony and Kona), and a pot-bellied pig (Fancy). Kaylee is from Portage Lakes, Ohio. She graduated with her bachelor of science (BS) in Communication Disorders from Marshall University in 2015. Kaylee is currently obtaining her clinical doctorate in audiology (Au.D.) from the Northeast Ohio Au.D. Consortium (NOAC), a partnership between Kent State University, The University of Akron, and The Cleveland Clinic. Kaylee will be with our team for a year to complete her doctoral externship. Kaylee enjoys camping, hiking and boating with friends and family. She also enjoys sewing and crafting which she learned from her Mother. After graduation, Kaylee hopes to start her path towards private practice ownership in the Northeast Ohio area. Audiology interests: Diagnostic Audiology, Hearing Instrument technology, Aural Rehabilitation, and Cochlear Implants. Erica is from Parkersburg, WV. She received her Associate’s Degree in Paralegal Studies from Mountain State College in 2014. She has worked in a law firm, but found her passion in the medical field helping others. Erica enjoys spending time with her husband and two rescue cats. She loves traveling and taking adventurous day trips with her husband. In her spare time, she is usually crocheting and creating fun designs. Erica and her husband are new parents of their baby boy, Joseph, who was born in August 2018. Allie is from Mineral Wells, WV. She has been a member of the American Academy of Professional Coders since May 2008, from where she received her certification in medical coding. She has always enjoyed working with patients and offering care anyway she can. Allie is from Parkersburg, Wv. She finished cosmetology school in 2012 and worked as a cosmetologist until 2018. She enjoys the personal relationship she’s able to build with patients through her position at this practice. Allie enjoys spending time with her two sons (Cameron and Carter) and her pomeranian (Addie). She also enjoys music, reading, and seeing new places. Audiology Services of West Virginia is your source for the most advanced hearing technology from professional, trusted hearing experts. Whether you are active and on-the-go, or living life at a more leisurely pace, there is a solution to fit the needs of your hearing loss and your lifestyle. There are many factors you need to consider when choosing a hearing aid. First and foremost, it is important to select a provider that you trust. Understanding your hearing needs and the various hearing aid devices available is essential to choosing the right solution for your specific needs. Our hearing doctors will help you find the most appealing and comfortable device. The first step in finding the right solution for your hearing loss is to call our office to schedule a hearing evaluation. Audiology Services of West Virginia offers hearing aids from all major manufacturers that provide state of the art sound processing and can be virtually invisible on your ear. Current hearing aid technology is capable of helping you hear better in even the most challenging and noisy listening environments. Many of today’s hearing aids are also capable of communicating wirelessly with your phone, computer, television, MP3 player and many other devices! Audiology Services of West Virginia offers of the best selection of hearing aids in Parkersburg. Occulomotor testing – This testing is designed to assess central or neurological function and visual accuracy and acuity in response to both stationary and moving stimuli. Impairments found during this testing may indicate neurological issues or a possible problem with central vestibulomotor pathways to the brain (brainstem). Optokinetic testing – This subtest is used to assess a patient’s ability to track a constantly moving stimulus. During this subtest, the central and neurological pathways are being evaluated for slowness or inaccuracies indicating central site-of-lesion. Caloric Irrigation – The ear canals are filled with warm or cool air or water. The bi-thermal irrigations measure the nystagmus response to the change in temperature of the vestibular system caused by the irrigations. Video Head Impulse Testing (vHIT) – a new addition to the typical vestibular battery, the head impulse test is the easiest indicator of a semi-circular canal deficiency. This test will give accurate functional information relating to all 6 semi-circular canals and will help point to site of lesion and help with proper rehabilitation. Vestibular Evoked Myogenic Potentials (VEMP) – The VEMP is a neurophysiological assessment technique used to assess the function of the otolithic organs of the inner ear. This testing complements information provided by vHIT and caloric information relating to a patient’s symptoms of vestibular distress. Electrocochleography (EcochG) – EcochG is a technique of recording electrical potentials generated by the cochlea and auditory nerve in response to sound stimulation and can provide functional information as to whether or not a patient has a normal cochlea, increased inter-cochlear pressures, or an abnormal opening (fistula or dehiscence) in the vestibular system that may be causing symptoms of dizziness or vertigo. Auditory Brainstem Response (ABR) – the ABR is a measurement of electrical activity in the brainstem as a response to sound. 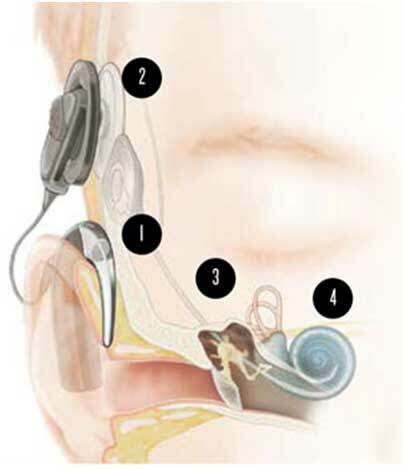 It is used to determine approximate level of hearing sensitivity from newborn to adult. Pure tone audiometry – Basic audiometry evaluates for hearing loss of any type. Patterns of hearing loss, along with detailed case history and other testing information may indicate a particular disorder. Speech Audiometery – Testing speech is key to audiometry as many disorders involve more central (brainstem or cortical) processing. Therefore, a patient may have a mild hearing loss but severe difficulty understanding speech. This testing is part of our basic battery. Tympanometry – Evaluation of the tympanic membrane and middle ear system is key to knowing if, mechanically, sound can be accurately transmitted to the inner ear. This testing can also provide crucial information that will affect the vestibular batter. For example, if a patient has an ear infection, caloric irrigations will yield inaccurate results. Tympanometery will discover this issue so that it can be treated prior to further testing. Acoustic Reflex Testing – The acoustic reflex test evaluates how the middle ear system, cochlea, nerves and lower brainstem work together to interpret loud sounds. Along with tympanometry and pure-tone testing, this test will discover if electrophysiological testing is warranted or contraindicated. To learn more about Audiology Services of West Virginia, please call or e-mail us at [email protected]. Approximately 30 million Americans have some degree of hearing loss. Prevention and early identification of and intervention for hearing loss are crucial for developing, maintaining or improving communication and quality of life. An estimated four out of five adults over 55 years of age have hearing conditions that can be helped by a clinical audiologist. Hearing loss can affect communication, emotional and physical health, education, work and personal relationships. Hearing loss can happen to anyone at any age. Sometimes “hearing” but not “understanding” what others say. therapeutic interventions across all disciplines. Tell others how best to talk with you. Anticipate and make a plan for difficult situations. Integrate visual and written cues. Acknowledge when communication is not understood. Show appreciation for efforts made when others assist you. Ask how to facilitate communication. Rephrase if communication is not understood. Give cues when changing subjects in conversation. Be patient if response is slow. Audiology Services of West Virginia offers a wide variety of custom and non-custom hearing protection at affordable prices from the most trusted ear mold manufacturers in the world. Make an appointment today to get fitted with custom hearing protection so that you can help to avoid damage to your hearing. Noise is one of the most common causes of hearing loss, and one of the most common occupational illnesses in the United States. A single shot from a firearm, experienced at close range, may permanently damage your hearing in an instant. Repeated exposures to loud machinery may, over an extended period of time, present serious risks to human hearing. Audiology Services of West Virginia offers a wide variety of musician’s monitors for professionals and amateurs alike. Musician’s monitors are ideal for listening to a personal mix of music, vocals and/or instrumentation while at the same time protecting the musician from damaging levels of noise exposure. The doctors at Audiology Services of West Virginia are skilled in the evaluation and treatment of tinnitus. If you or someone you know suffers from tinnitus, we urge you to contact our clinic today to schedule your evaluation. Tinnitus is the perception of a sound that has no external source. Some of the more common sounds reported are ringing, humming, buzzing, and cricket-like noises. It can be constant or intermittent and is heard in one ear, both ears or in the head. Tinnitus can originate in the middle ear (behind the eardrum) or in the sensorineural auditory system. Self-help Books. There are also some excellent self-help books available. CALL TO FIND OUT MORE. Audiology Services of West Virginia is proud to be a part of the Cochlear Provider Network and is skilled at the assessment, fitting and adjustment of cochlear implants, hybrid hearing and bone anchored hearing aids. Designed to help adults with high-frequency hearing loss, our Cochlear™ Nucleus® Hybrid Implant System is a combination of two proven technologies brought together. It’s the only FDA-approved hearing solution that restores access to the high-frequency hearing you are missing through cochlear implant technology, while enhancing your low-frequency hearing through acoustic amplification—all in one device. *Hybrid hearing approved only for use with the Hybrid L24 Implant. Designed to help people with conductive hearing loss, mixed hearing loss and single-sided deafness, the Cochlear Baha® System utilizes your body’s natural ability to conduct sound. By connecting to the bone behind your ear, the Baha System bypasses the damaged outer or middle ear and sends sound directly to your healthy inner ear, where sound comes to life. At Audiology Services of West Virginia we realize that not everyone needs or is ready for traditional hearing aid amplification. In some cases minor communication challenges may require just a little help from a personal sound amplifier. We proudly offer the Starkey AMP as well as The Bean Quiet Sound Amplifier by Etymotic Research to fill this need. Schedule an appointment today to see if AMP or The Bean is right for you! The AMP made by Starkey is offered as an invisible option to tackle minor communication difficulties where hearing aids are not yet warranted. The AMP is comfortable, easy to use, and is programmable by an audiologist, which is different than most amplifiers available! I purchased hearing aids through Audiology Services of WV and worked with Carlee Cox Squires, AuD. My experience has been very positive. The staff has been pleasant, courteous, and informative. They were patient in working with me [and] allowing me two trial runs with hearing aids before my final purchase. Hearing aids take some time for adjustment, but with time they become beneficial. I highly recommend Audiology Services because of the professionalism they exhibit and the ability to work with patients with hearing loss. If our Doctors of Audiology have determined that there is hearing loss it may be suggested that a hearing aid(s) will help to improve your communication. Audiology Services of West Virginia uses a wide variety of manufacturers, styles and levels of technology to meet your hearing needs. Click here to get more information on hearing aids that we offer. We only work with large reputable manufacturers so that we ensure that the product we help you choose from is the best that is available. Some clinics choose to sell “private label” hearing aids in order to sell the product at a discount or make themselves look different, however Audiology Services of West Virginia makes a point to only dispense major manufacturers’ products in order to ensure that no matter where you are you can obtain the care and service that you expect from the provider that you choose. Click here to see a list of Manufacturers that we carry. For your convenience, the following forms will assist us in spending quality time with you during your visit with us. Audiology Services of West Virginia forms can be downloaded, printed and completed at your convenience. Please complete intake, case history, and questionnaire forms that pertain to you and bring them with you on your first appointment. At Audiology Services of West Virginia, we want to accommodate a variety of financing options making it easy for you to receive the care and hearing assistance products you need. We offer 0% financing with approved credit. Call our office for details. CareCredit, a part of GE Capital, offers healthcare financing for consumers through a network of over 150,000 providers. Founded in 1987, CareCredit was initially offered to doctors to help their patients pay for new dental implant technology. Continued advancements in technology, and procedures that are often not covered or fully covered by insurance, have created new choices for care, increasing the demand for financing options. CareCredit is a healthcare credit card that can be used as a payment option for certain expenses not covered by insurance or to bridge situations when desired care exceeds insurance coverage.